Extremely high quality bath filler tap with a shower attachment kit allowing easy hair washing and bath cleaning all adding to the luxury of a bathroom. 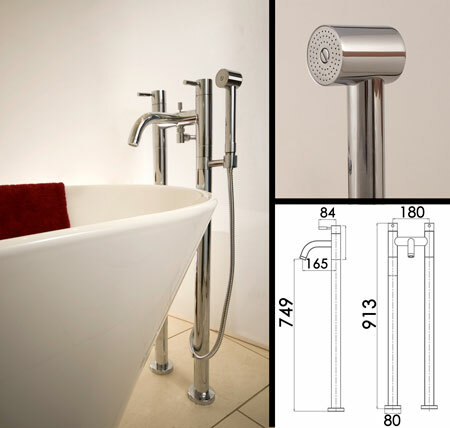 All bath filler taps are freestanding and are securely mounted to the bathroom floor. * Italian bath filler design.